The well-known web browser, Opera has released its new Opera Browser 10 beta version, which features faster speeds, new enhanced tabs and automatic update. The new Opera Brower 10 beta comes with Opera Turbo for fast browsing on slow connections. The Opera Turbo technology can deliver web content up to 40 percent faster than previous version. It automatically switch on if a slow connection speed is detected. The web browser also comes with improved user interface design, customizable speed dial and web integration. In addition, Opera 10 beta features a resizable tab bar, which when double click will reveals thumbnails of every open tab in browser window. It also expanded the inline spelling checker that support up to 51 languages. 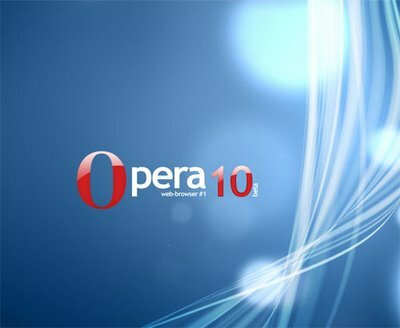 The new Opera 10 beta version 10.00b1 is currently available as a free download from Opera website for Windows, Mac, Linux, FreeBSD, Solaris, QNX, OS/2, BeOS and other operating systems, or use the following direct download links for Windows and Mac OS X version.